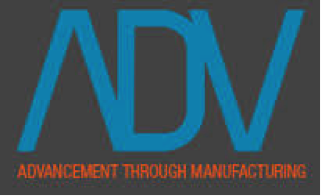 Our client ADV Manufacturing Ltd production is based around the automotive, low and high volume, bespoke and aerospace sectors. To further their high volume production requirements, they invested in the purchase of a Schuler 600ton hydraulic press. 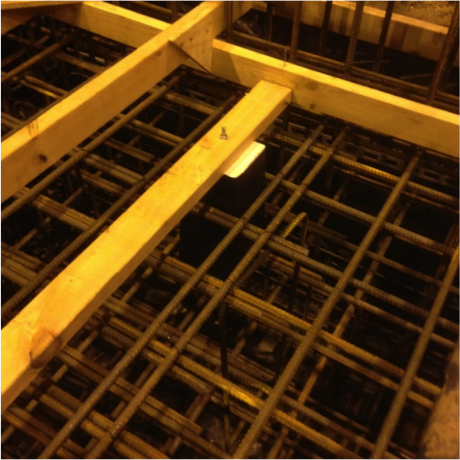 Through the selective tendering process Privilege Construction Ltd were awarded the contract to construct the proposed foundation pit in ADV Manufacturing’s press shop in Coventry. The works were meticulously programmed and one of the fundamental conditions was that the pit excavation had to be completed over the weekend period, so that ADV’s production activities would not be impacted. 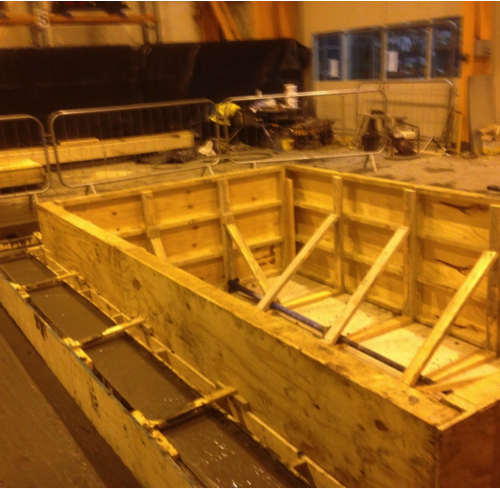 The works commenced on Friday lunchtime as the last production shift finished work. The construction area was fully screened and all the mechanical plant with fitted with purpose made fume control units. During the pit excavation we encountered excessive volumes of relic foundations which mainly consisted of mass reinforced concrete which was further hampered by a shallow groundwater table. Due to the quantity of obstructions and the small timeslot that we had to complete the excavation we made the decision to allocate additional excavators. 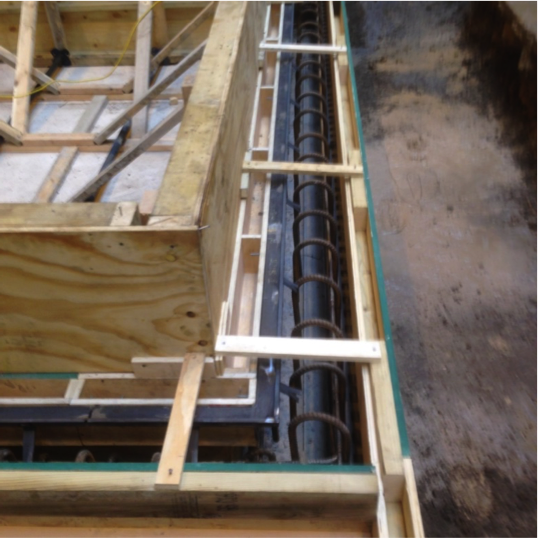 By 24 hour working we were able to install all the shoring system and dewater the pit as works progressed. 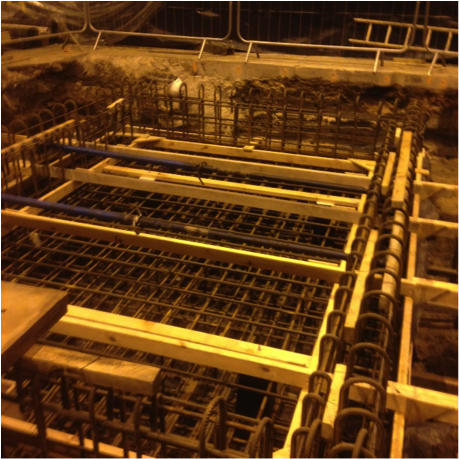 The pit excavation was completed for the Monday morning to the satisfaction of our client and the press pit was constructed in three stages, the base foundation of the pit, structural walls, floor replacement and floor ducts for the electrical power systems. The overall construction programme was completed in 2 weeks.